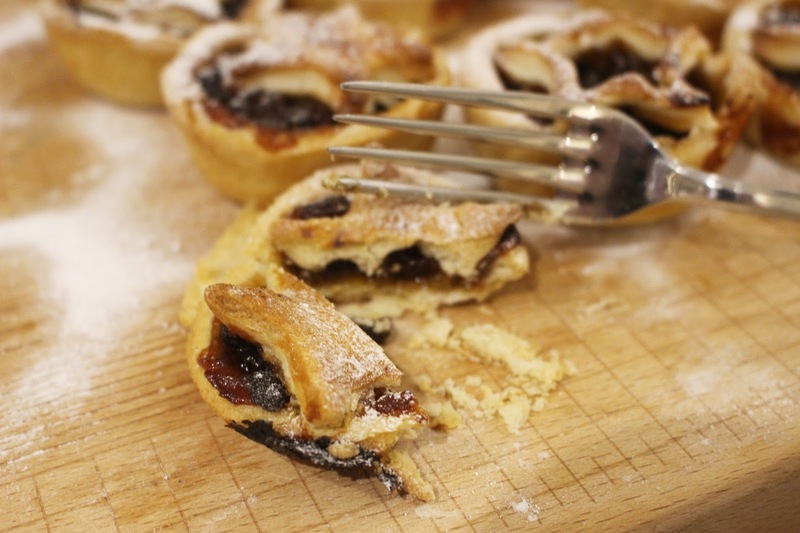 HOW TO MAKE THE BEST MINCE PIES THAT WILL IMPRESS EVERYONE THIS CHRISTMAS! It's the most wonderful time of the year! I have never made it a secret that Christmas is one of my favourite times of the year - and one of the reasons why I love this holiday so much is the build up to the big day. I love the buying gifts, wrapping gifts, spending time with friends and family as well as all the baking. And I could not go throughout the month of December without making my mince pies and brandy butter - these go down so well at family get togethers and they don't last long in my household. 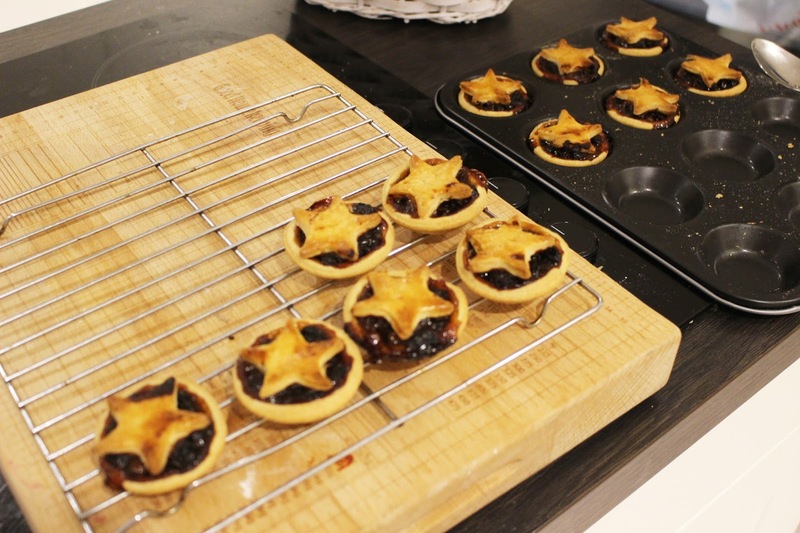 I write a recipe on my mince pies a couple of years ago, but this year I decided to go all out on my normal recipe and add a twist by making my own mincemeat. I have always used a jar of mincemeat but I really wanted to try making it for myself and I was so surprised to see how easy it is to make. This is the one piece of baking that I always have to do a week before Christmas and I end up making over sixty mince pies as I know that they will not last long in my house, especially with a spoonful of brandy butter! Mincemeat is something that I was never a true fan of when I was a little girl but now that I am 22 it is something that I now love and I was so surprised how easy it is to make. I really wanted to try to make mincemeat this year and you can easily store the mincemeat in several jars for up to three years (if left sealed and stored in a cool place). This can also make great presents for friends and family who love to bake and cook as there are so many recipes that you can make using mincemeat (plus there are lots of mincemeat recipes online). I am going to gift some jars of this mincemeat to family along with a couple of recipes on how to use the mincemeat. 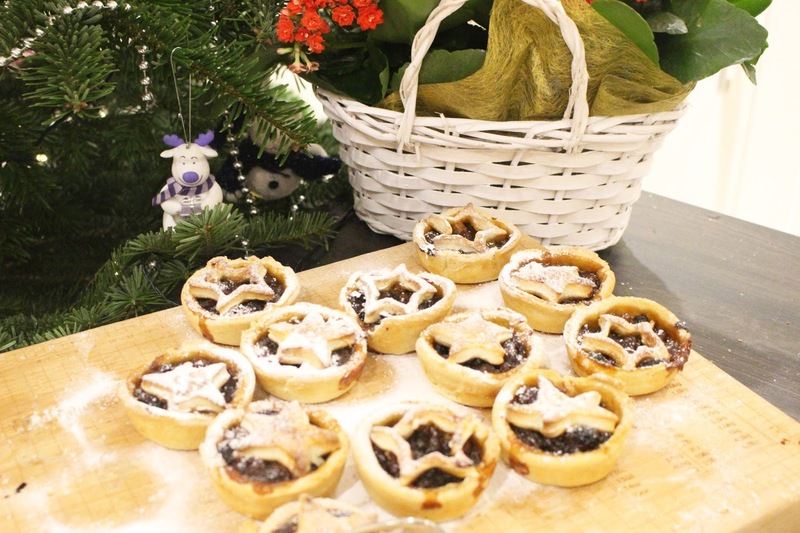 This is so easy to make and will just make your mince pies even more special! You will also have to make sure that the jars you use are sterilised. 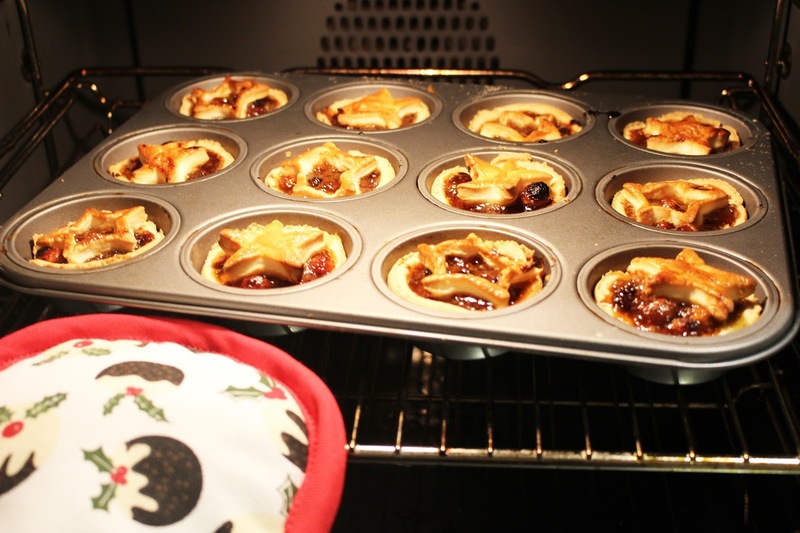 Either run the jars through a hot cycle in the dishwasher and fill them with the mincemeat once they are still hot after coming out of the dishwasher, or you can wash them in hot, soapy water, rinse and then dry out for 30 minutes in a low oven (120C/275F/Gas Mark 1/2). Also make sure to sterilise the lids in a bowl of boiling water is they are separate from the jar. Finely chop or mince all of the dried fruit - it is easier to use a food processor for this step, but if using a food processor for this step make sure to roughly chop the bigger fruits (like the dates and apricots) into smaller pieces before adding them to the processor to avoid having big pieces of fruit. I would recommend doing this step by hand with a knife to make sure that all the pieces are roughly the same size so that the mixture doesn't clump into large balls of fruit. Put the dried fruit into a big bowl. Core and finely chop the apple (with the skin left on) into similar size chunks as the dried fruit and add it to the bowl. Roughly chop the mixed peel, glace cherries and walnuts and add them to the bowl as well. Toss in the shredded suet, spices (cinnamon, nutmeg and mixed spices) and sugar, then grate in the zest of a lemon and orange. Mix the dry ingredients with the dried fruit to make sure that the fruit is completely covered. Then halve the orange and lemon and squeeze the juice into the bowl. Stir the mixture to make sure that all of the ingredients are evenly distributed and covered in the spices, juice and sugar. Add between 75 to 150ml of brandy to the mixture - you may need a tiny bit less or more depending on how much fruit you have in the bowl. You want enough brandy so that the dried fruit looks glossy, but you cannot see any of the brandy pooling at the bottom of the bowl. Cover the bowl with clingfilm and leave for 2 days on the work surface where it is cool - but you do not need to place it in the fridge. After 2 days, stir the mincemeat thoroughly and add a tbsp of brandy and mix everything together. Make sure that the dried fruit is evenly distributed and then transfer the mixture into sterilised jars. The jars of mincemeat will last for 3 years if kept sealed and stored in a cool, dark place. 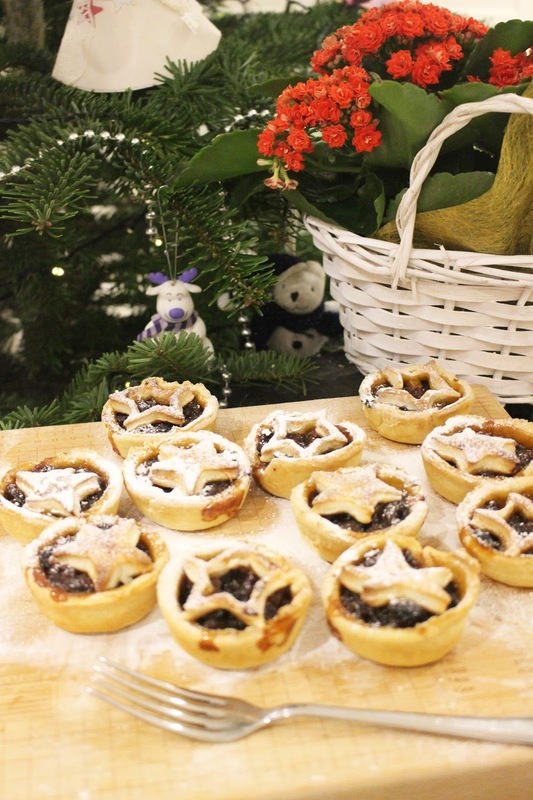 I think mince pies are the best way of spreading Christmas cheer and they are so easy to make. If you don't want to make your own mincemeat (like me) then you can use a jar of already made mincemeat - which tastes just as good. You can also buy store-bought pastry but I like to make my own as I feel like my own pastry is just lighter and more crispy when cooked. 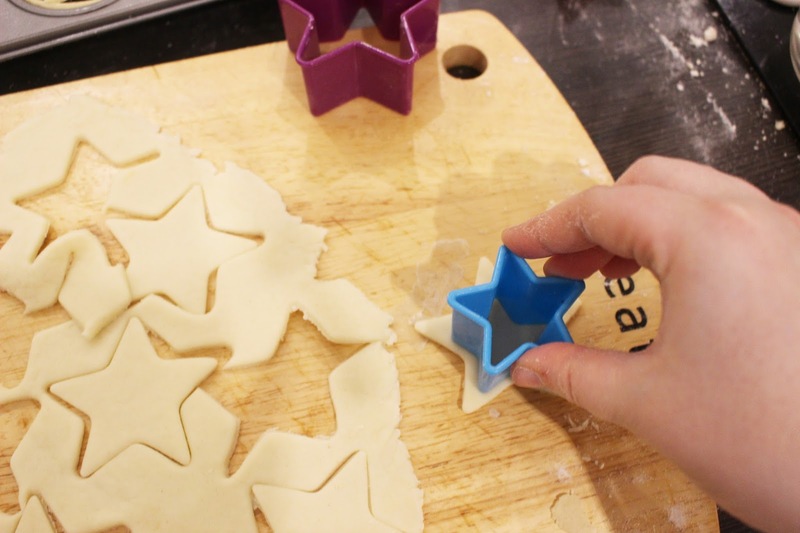 Plus making your own pastry is so easy and will be a lot of fun to make with the children in your family. Sieve the flour into a large bowl and add in the cubed butter, rubbing the two together with your fingertips until you have the consistency of breadcrumbs or it resembles a crumble topping. 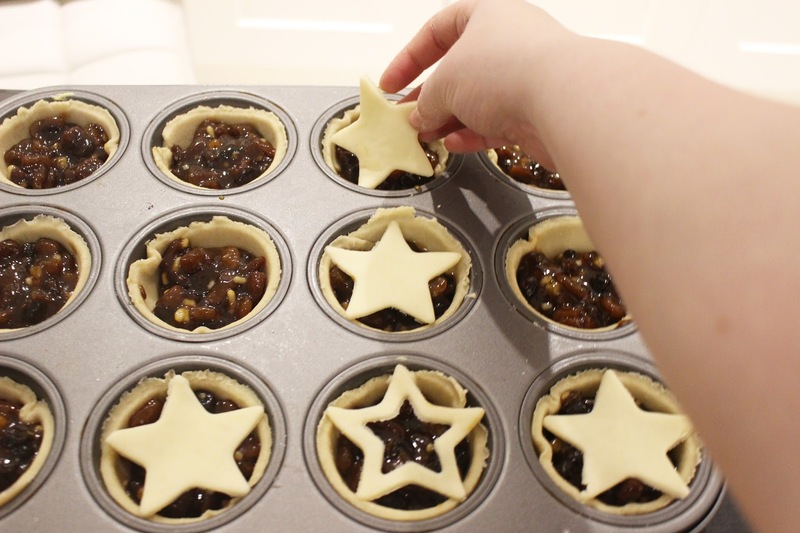 An optional step at this point is to add in the zest of an orange to make your mince pies even more festive. Add the sugar and egg into the mixture, then stir until fully combined and it looks like larger breadcrumbs. Slowly add the water, one tablespoon at a time, until the mixture forms a ball of dough - you may not need all 6-8 tablespoons. Wrap the pastry dough in clingfilm and chill in the fridge for 25-30 minutes. Preheat the oven to 200C/400F/Gas Mark 6. Lightly grease a muffin tin with butter on a piece of kitchen towel. Dust the work surface with flour, unwrap the dough and place on the floured surface. 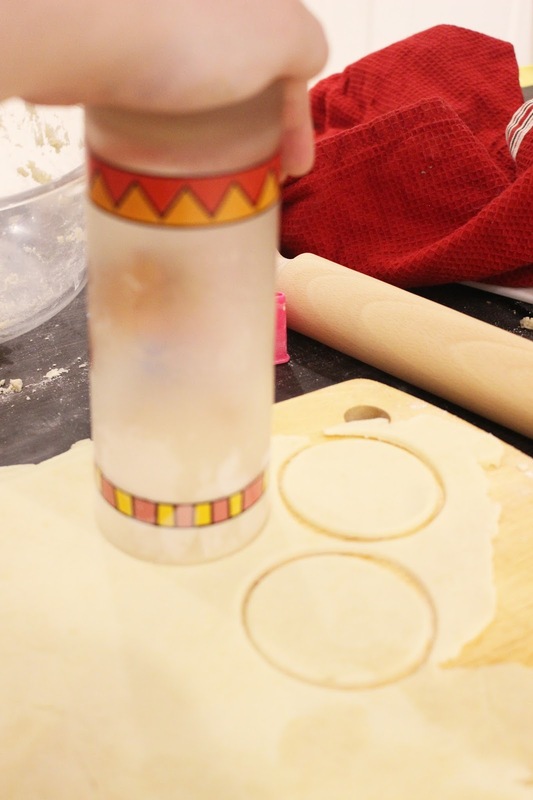 Lightly dust a rolling pin with the flour and roll the pastry out to a thickness of 3-4mm. 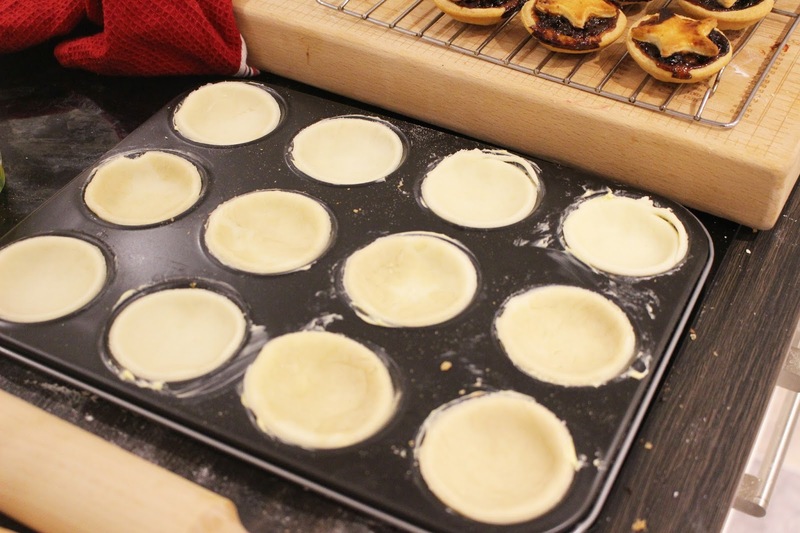 Using a round pastry cutter or a clean glass, cut out 18-24 circles of pastry (depending on how large the holes in the muffing tin are), so that each circle is big enough to fit the holes in the muffin tin. 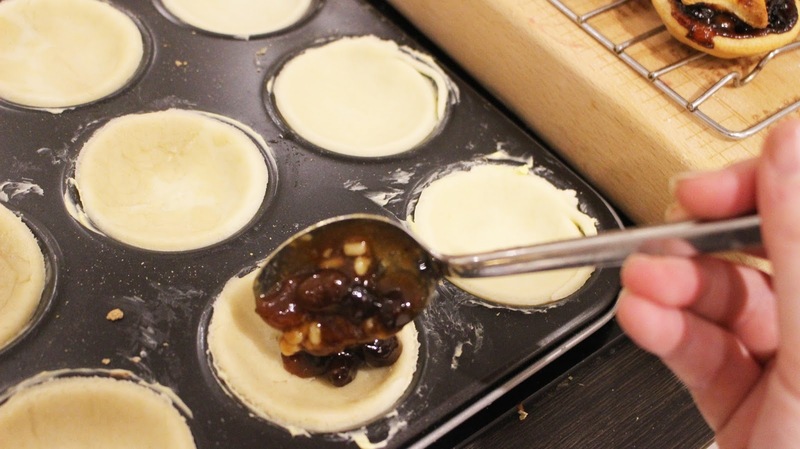 Press the pastry circle firmly into each hole of the muffin tin (which has already been greased), and fill each with a heaped tablespoon of mincemeat (either store-bought or homemade). 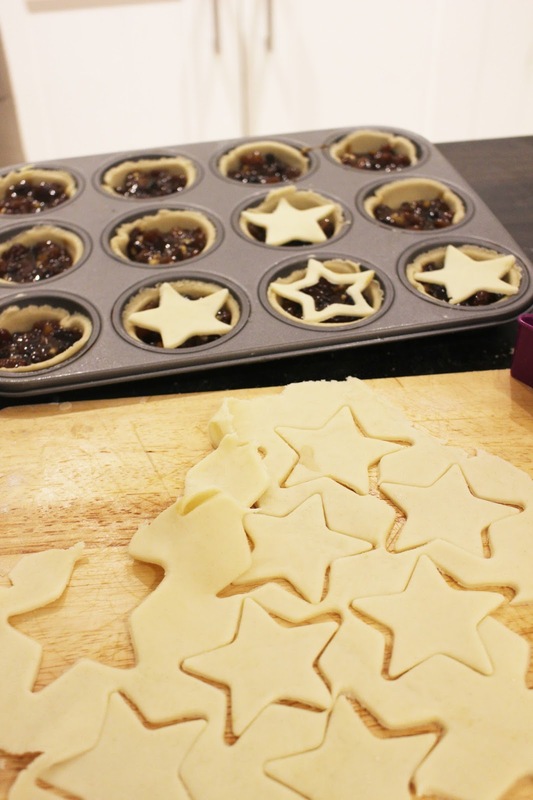 With the remaining pastry cut out some festive shapes to place on top of the mince pies. 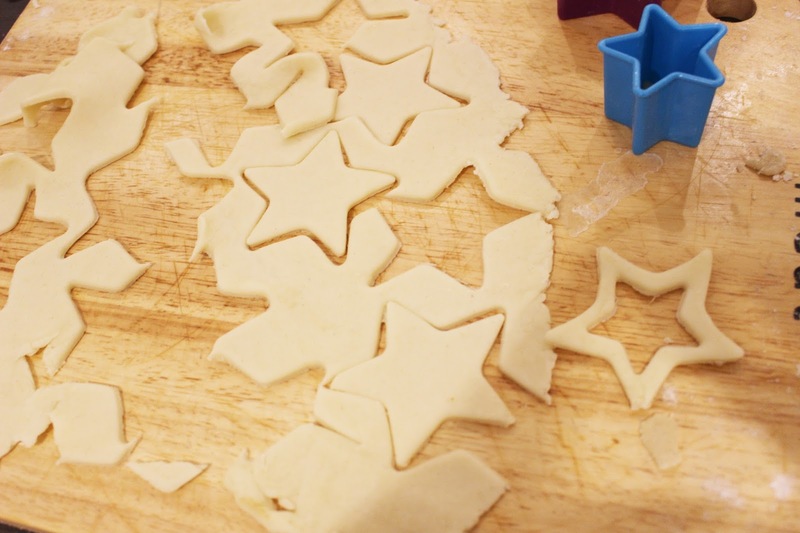 I used a star cookie cutter, but you can use an festive shape you want or you can use the same circle cookie cutter or glass to place on top of your pies. 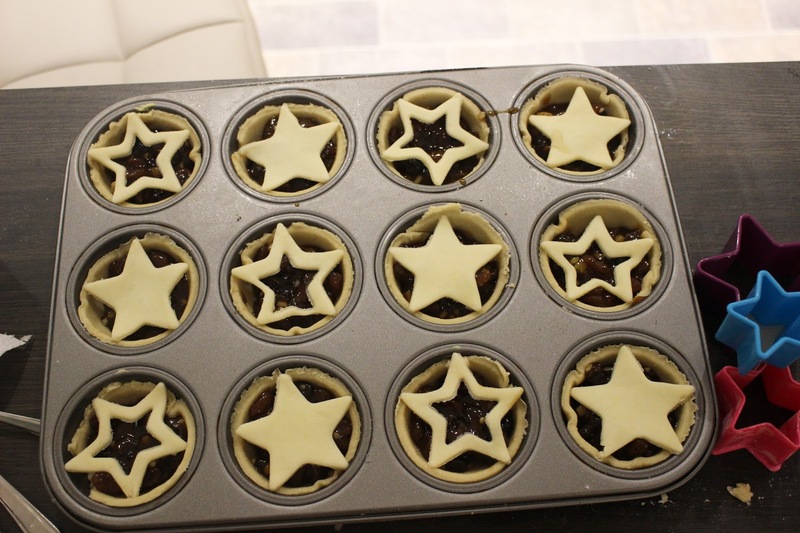 I also decided to use a smaller star cookie cutter on some of the larger pastry stars so there was a hole in the middle exposing some of the mincemeat - which I think looks really effective. 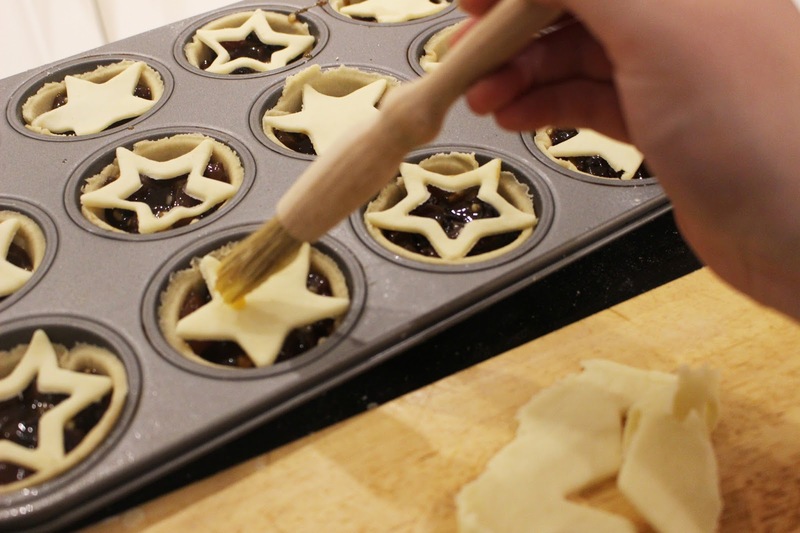 Using a pastry brush, brush the festive shapes with a beaten egg. Pop the muffin tins into the oven and bake for 15-20 minutes or until they are golden brown. The mincemeat will caramelise slightly so may give the illusion that some parts are burnt but that is just the mincemeat. Remove from the oven and place on a cooling rack to cool fully. Dust with icing sugar and serve on its own or with brandy butter. This is the perfect treat to leave for Santa on Christmas Eve! Beat the butter and sugar (either the soft brown sugar or icing sugar) together in a bowl until you are left with a creamy mixture, then beat in the ground almonds (but the ground almonds are an optional addition to the brandy butter). Stir in the orange and lemon zest, then slowly add the 40ml of brandy into the mixture. Stir until the mixture is fully combined and is a beautiful light and creamy mixture. If you are not using the brandy butter straight away, store in the fridge (it will be fine for a few days, but may need to stir again if the mixture looks like it has separated slightly). Serve the brandy butter in a bowl with your mince pies or even with the Christmas pudding on Christmas Day! 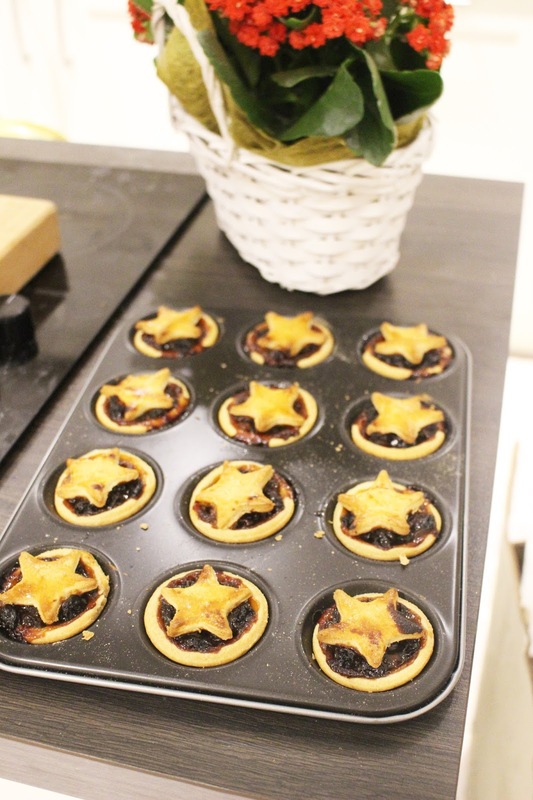 Let me know in the comments if you are going to try this mince pie recipe and what other Christmas baking you like to do over the festive season!